The narrator explains that he is lead into a room by another man who explains he is not to touch the matchbox on the table and should just look around. It is clear that the room held someone very troubling. The narrator explores the attic room and sees various relics including a collection of magic books and other curious books. The narrator ignores the advice of the man and touches the matchbox to ignite it. Soon as he does, he notices another man, a strange man in clerical garb of the Anglican Church standing in the room--but the room is not quite the room, it feels like some surreal place. Suddenly, the clergyman begins throwing his books into the fire and looks to a group of men who have also appeared and are dressed in clergy garbs. The first man looks to them as they appear to decide something and then exit. The first man begins to tie a noose and sets it up to hang himself. The narrator steps forward at this point and the first man takes a devious interest in him. Before the man can do anything to him, the narrator lifts up the matchbox, which strangely scares the first man away. After this altercation, the room returns to normal and the narrator goes back to the door entrance where people have gathered. They see him and run in terror except for the man who guided him to the room. This man tells the narrator to brace himself and brings him over to the mirror. He explains that the narrator will need to leave the country and start a new life. When the narrator looks into the mirror, he sees that he has been transformed into the first clergyman he saw in the room. This wasn't published until after his death and it was taken from a letter Lovecraft had written. It feels a bit forced in that capacity and that's mostly because of the title. Clearly, he didn't name it that as it feels too heavy handed and indeed, we're not really made to understand why the clergyman is evil. While many of Lovecraft's titles has dark adjectives like horror or haunt, "evil" feels too easy for him. 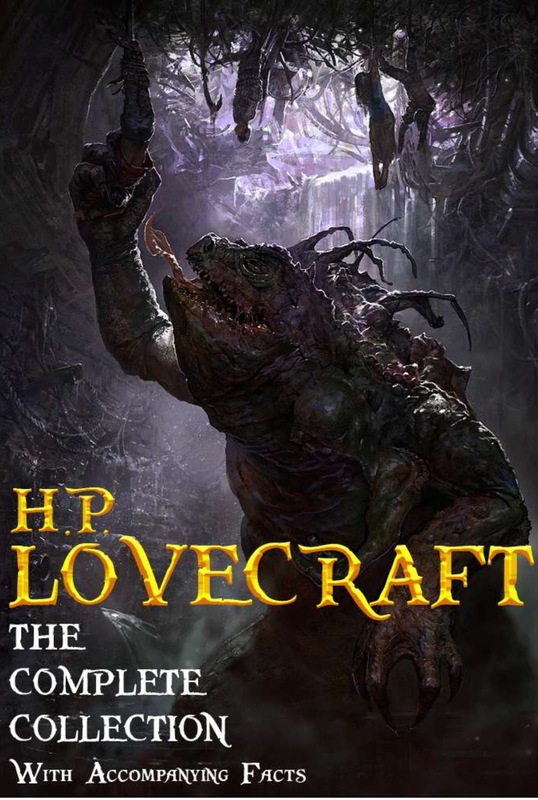 Often, Lovecraft writes to the experience and feelings of the protagonist who is likely to feel horror or fear but rarely do his titles speak of "evil" or "bad". Beyond that, the story is a standard switched identities tale though I'd be curious to see what they meant by a matchbox as it is not something I am familiar with--at least by the description and what I know to be a matchbox.